Tottenham will be looking to catch the top two this weekend as both face tricky games which could cause an upset at the top. Tottenham Hotspur return to domestic duty on Saturday as Burnley visit Wembley Stadium. Spurs currently sit in third place whilst the Clarets rest just outside of the relegation zone in 17th place. It will be an uphill task for Sean Dyche to claim anything from an in-form Spurs side but could their midweek travels hinder the Lilywhites? It has been a strange old start for Burnley this season, on the back of reaching Europa League qualification rounds last season their fans have the right to be disappointed. The turbulent start has shown a real lack of consistency in results despite beating Brighton & Hove Albion last time out. As for Spurs, an underwhelming level of performances seems to be turning in the right direction with the Lilywhites placed in the top three and through to the round-of-16 in the Champions League. 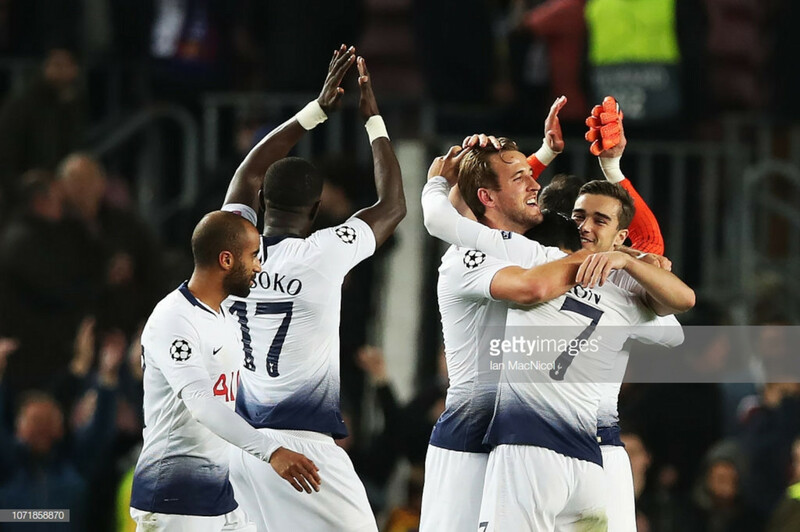 Spurs miraculously turned around a dreadful start to their European campaign to earn a draw away to Barcelona on Tuesday which saw them progress. Finally, some positive news for Spurs on the injury front with Serge Aurier, Davinson Sanchez, Kieran Trippier and Juan Foyth all being assessed ahead of the Burnley clash. However, Mousa Dembele and Victor Wanyama will remain absent through their long-term injuries. As for the visitors, it is reported both Steven Defour and Johann Berg Gudmundsson are unlikely to play a part in the game with both struggling for fitness. Both have picked up slight niggles and are unlikely to be risked. Also, manager Sean Dyche is believed to return to the dugout after struggling with sciatica this week. Sean Dyche has been a long-term admirer of Spurs and Mauricio Pochettino. "Tottenham are having a fine start to the season and they had a great result the other night. "I really like the way they go about their business. Their manager plays direct football but in a passing style, if they can get out quickly then they do. They're effective. They don't keep the ball for the sake of it. Burnley suffered from a Harry Kane hat-trick the last time the two sides met at Turf Moor. "We go down there with a bit more freedom, the expectation changes. Last week against Brighton, there was really heavy expectation for us to get a result," Dyche added.